I am no adrenaline junkie - you wont find me skydiving, base jumping, or free climbing. I agree life should be lived to the full, but I love life and quite frankly I do not want to place myself in a position where I amy risk losing my life - certainly not in the name of ‘fun.’ Activities like that fill me with THE FEAR - with a capital FEAR. The physical, bodily symptoms of fear and excitement are identical. That is, you would not be able to tell the difference between fear and excitement by checking breathing, heart rate, release of sugar into the blood, or any of the other activities of the sympathetic nervous system that prepares us for “fight or flight” responses to threat. There simply is no difference. Yet is is crucial in our earliest moments to discern which emotion is which. It is easy for a young football player at this year’s world cup to be feeling both emotions at once as he represent’s his country - but which emotion he allows to come to the fore will dictate his performance on the pitch. And yet if there is, physiologically, no difference between these two states, that means that our interpretation of our condition makes all the difference. Reading our sweaty palms and increased heart rate when meeting someone for the first time -- or climbing into the pulpit on Sunday morning! -- as signs of excitement or fear dramatically effects how we approach the situation in question. All of this bears, I believe, on the gospel reading appointed for this Sunday, as it is a gospel reading that talks a lot about fear. Jesus has commissioned his twelve disciples and is about to send them out on a mission of their own, a mission during which they both exercise great authority and need to demonstrate profound trust. For while they will have the power to cast out demons and heal the sick, they are to take no money or extra provisions but rather depend upon the grace of God as shown in the hospitality of others. As part of what seems almost like a pre-game “pep talk” (okay, so the World Cup is still on my mind! ), Jesus levels with the disciples about some of the challenges they will face, challenges including rejection and slander and persecution and perhaps even death. (Keep in mind that Matthew writes not only about the original disciples but also for the disciples of his community who may be experiencing just these things.) It’s in this context that he says several things about fear that are worth attention. First, fear is, in many ways, the antithesis of faith. Not surprisingly, in seeking to encourage his disciples Jesus employs the characteristic hallmark of good news throughout Scripture. Anytime, in fact, someone -- whether prophet, priest, or angel -- begins a message with the words “Fear not” you know that good news is about to come. (When they begin “woe unto you,” on the other hand, start bumming out now!) And so after warning them of coming persecutions -- just as their teacher Jesus faced opposition, so will they -- he encourages them with an injunction not to fear. Second, courage is rooted in God’s promise. Jesus reminds them and us not to fear because while their opponents may be able to hurt them physically, they can do them no spiritual harm. God, however, is the one who has power over both body and spirit, and God has promised to guard and protect them and bring them to eternal life. The God who created and tends every living thing, values them more than anything. Third, fear of conflict may be one of the most debilitating of all fears. While I have always struggled with Jesus’ somewhat (I hope!) hyperbolic sayings about parents and children being at enmity with each other, it strikes me that this difficult passage gets to the heart of one of the most paralyzing characteristics of many faith communities I know. We can get so afraid of conflict -- whether within our immediate families or the larger family of faith -- that our witness is muted, our convictions surrendered, and any forward movement greatly limited for fear of upsetting the apple cart. Noting that Matthew’s original context likely included people who were rejected by their family and friends because of their faith -- hence the import of these words of encouragement from Jesus -- I think we often allow our hopes, plans, and mission to be held hostage by those who threaten conflict when things don’t go their way. In these situations, Jesus invites us to remember that there are worse things than conflict and that, indeed, the call to follow Christ and take up his cross will in fact have costs, including at times conflict. 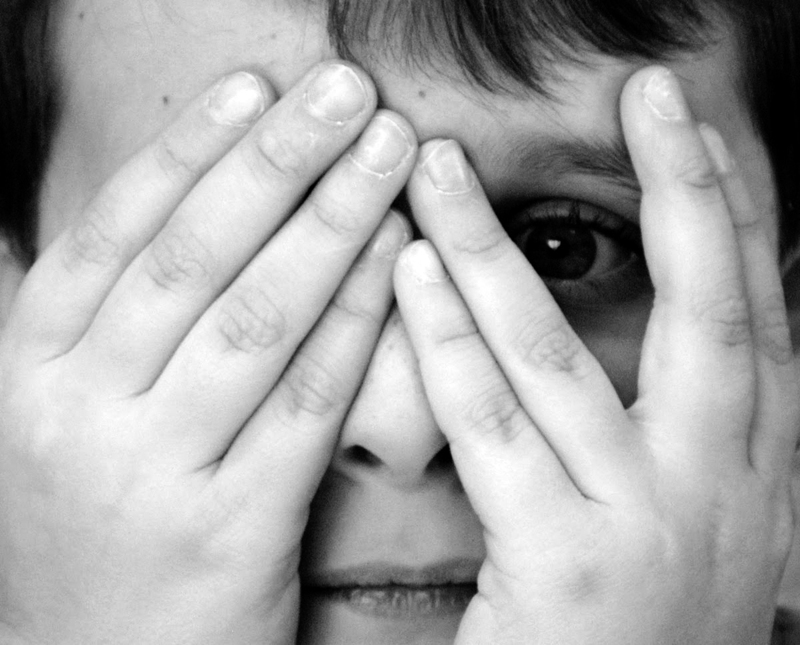 Fear can dominate our lives -- fear for our loved ones, fear about an uncertain future, fear of continued war abroad and economic downturn at home, fear of where our next meal or rent payment will come from, fear of being accepted in this next stage of life (going to high school or college, entering a retirement community), and the list goes on. How we respond to challenges in life depends upon our interpretation. Are the hardships we face things to fear or opportunities to exercise our faith? Is a brewing conflict with a dysfunctional colleague or difficult friend something to be avoided at all costs or an opportunity for setting boundaries, affirming healthier patterns of behavior, and nurturing personal and corporate growth? We need to take care, of course, not to characterize hardships as challenges sent from God, but rather remind each other that if God can use something as awful as the cross to work redemption then God can and will work through our hardships for the sake of life. This promise might help us approach challenges not with fear but rather anticipation and even excitement.